Over the last decade Internet traffic and the use of electronic data has exploded and businesses haven’t kept up with new security vulnerabilities. The Internet has literally changed how we work and live, by allowing businesses to pay invoices on line, purchase merchandise, store their files, e-commute, collaborate, and do training right from their office. Modern technology and ease of access makes life easier, but unfortunately online theft is increasing at an alarming rate. Despite high tech cyber security measures hackers and cyber criminals still find ways to access sensitive financial and personal information. According to an article in Time Magazine cyber criminals gained access to two million user names and passwords associated with more than 90,000 websites, to include social media websites, department stores, banks, and a variety of other businesses and organizations. The passwords you use for your businesses function in the same way as a door lock key, and it opens the door to all of your sensitive digital information. In the same way a thief can pick a lock to gain access, cyber criminals have ways to figure out your password. As an internet user and online consumer your best defense against cyber theft, and to protect your personal information, financial records, and electronic data, is to have a strong password. The most effective passwords are unique and more complicated than ABC or 123. One of the most common mistakes people make when selecting a password is to use a sequential set of letters or numbers, their date of birth, the birthday of a family member, or the name of their pet. Although these things are familiar and very easy to remember, they present no challenge to professional computer hackers. Selecting a secure password can be as easy as choosing a line from your favorite song. For instance, “Close your eyes and I’ll kiss you, tomorrow I’ll miss you” would become “CyeaIkutImY”, which represents the first letter of every word. You can select which words are upper and lowercase and you can include a few non-alphanumeric characters or numbers that are easy for you to remember. Using a combination of eight or more letters, numbers and non-alphanumeric characters makes it much more difficult for hackers to figure out your password. Because there are no definite guarantees that cyber thieves will never access your password, it is recommended that you use a different password for each of your online accounts and cycle them regularly. This is important because in the event that your computer system is hacked criminals won’t have access to all of your accounts. It is equally important that you change your passwords often, and do not to use a previous password for at least 10 changes or within a year. The small business internet providers have a better track record for security due to their inherent familiarity with the vulnerabilities that pop up from time to time. They have material and resources on their websites for combating piracy and hackers online. Knowing the dos and don’ts for creating a strong password can help protect your online accounts and safeguard you sensitive information. Do use a combination of letters (both upper and lowercase), numbers, and non-alphanumeric characters such as parentheses, periods, or hyphens. 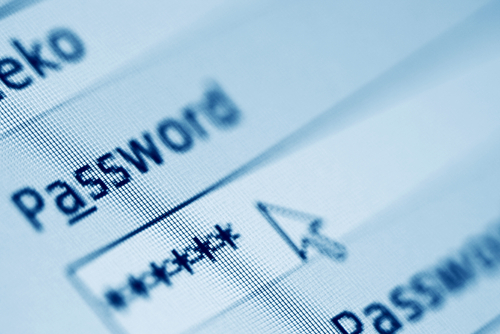 Do use a different password for each your various online accounts and emails. Do make your password unique, but something that you can remember. Do use a strength analyzer to determine the strength of your password. Do safeguard against onlookers seeing your keystrokes when you enter your password. Do use all-inclusive security software to avoid your keystroke from being logged. Don’t use birth dates or names of relatives, or the name of your pet. Don’t write your password(s) down and leave the information unsecured. Don’t reuse any of the last 10 passwords previously used. Don’t ever select yes when asked if you want to save your password to a website or browser. Changing your password from a few simple letters or numbers and making it a strong digital key is the first step you can take to secure your electronic information. For added security avoid using your password(s) on a public computer that may be infected with malware, and avoid using unsecured Wi-Fi connections that allow hackers easy access to your information. Follow these guidelines and you’ll be able to use the net confidently with a greatly diminished chance of being hacked.